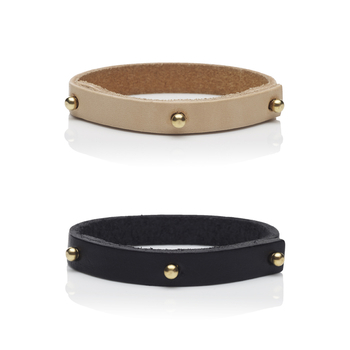 Each bracelet is meticulously hand made by AnnLouise herself in Sweden. Italian leather with solid brass details. 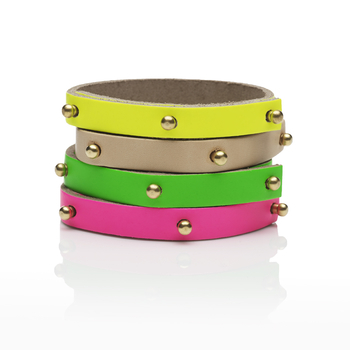 Three studs which you also close the bracelet with. 1 cm wide, 18 cm around.